"Final Judgement" Part 3 of 3. Script by J.M. DeMatteis. Pencils and Inks by Sal Buscema. Cover by Sal Buscema. This is it! The Vulture and the Amazing Spider-Man battle from cover-to-cover in the skies over Staten Island! Can the wall-crawler finally end his long-time foe's reign of terror? Or will Aunt May get the final word? Meanwhile, Harry Osborn is back on the scene. And it won't be long before the Green Goblin flies again! 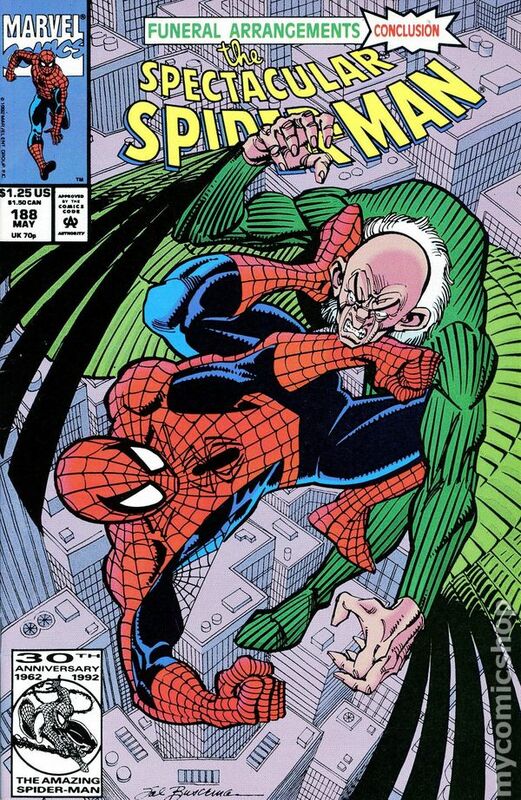 (Note: The Vulture returns in the Lethal Foes of Spider-Man Limited Series.) 32 pages Cover price $1.25.